Coloured pencils have a reputation for sinking into black paper over time - which is a bit of a nuisance to put it mildly as this can alter the value pattern of any artwork you produce! Derwent sent me one of their Black Books to review a while ago. I've been waiting a while to check out the impact of black paper on my coloured pencils. Below you can now read my review. Summary Review: This is a black paper sketchbook. 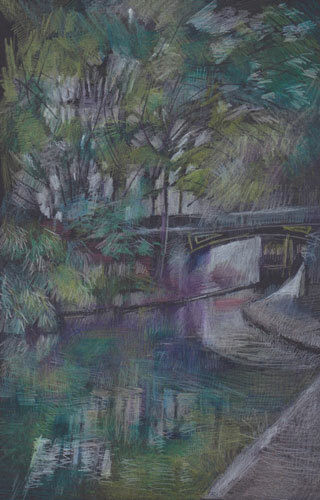 The stiff 200gsm paper is suitable for dry rather than wet media. I very much liked the surface and it's easy to take an eraser to it without abrading the surface. In terms of colour, woodless pencils such as my set of Caran d'Ache Neocolour worked better than colours from a range of brands. Watersoluble pencils are useless on this paper as tints are totally invisible. 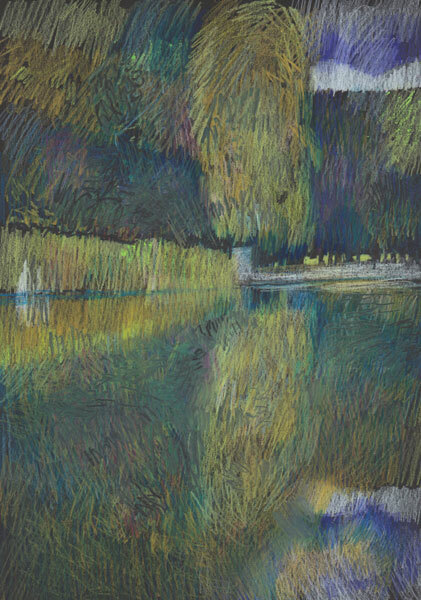 Some colours sink into the paper or are distorted due to its colour. Others appear more muted. In my opinion, it's a sketchbook which is very suitable for use with colours which retain brightness and saturation on this paper - which not all do (see colour charts). Having said that it's no worse than any other black paper. Selective use of certain colours will create images with impact. Technical Details: The Derwent Black Book is a black paper sketchbook. it's useless for watercolour or dispersing watersoluble coloured pencils/crayons. Tints disappear. 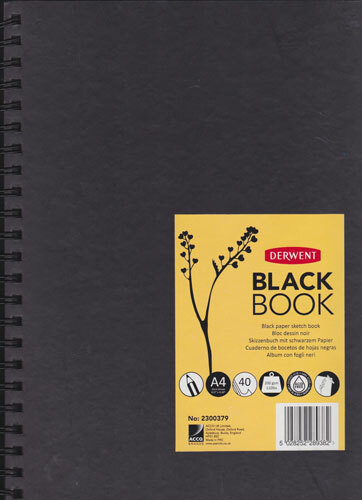 Derwent have a small range of sketch books which contain stiffish black paper. Each sketchbook has 40 sheets of 200gsm black paper, which means it's a weight which makes it similar to thin card. There are a good range of sizes which offer an opportunity to do larger work. I tried it with a range of coloured pencils from different brands and with Caran d'Ache Neocolour. I had a suspicion they might work better with wax crayons - and they do. Of the charts below the first one is coloured pencils and the second one is neocolour. 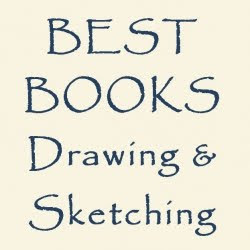 After that there are a couple of sketches made using (1) coloured pencils and (2) neocolor crayons. In my view, some of the colours have "sunk" over time. Others continue to appear muted. The white (bottom right) is actually a white charcoal pencil. 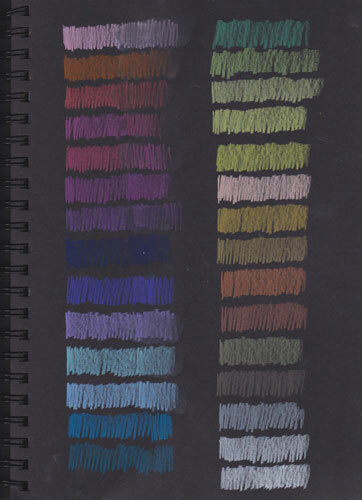 The next chart is of neocolor crayons which to my mind work a lot better. Neocolor II Aquarelle Artists' Crayons have a high pigment concentration and seem to work much better on this paper. 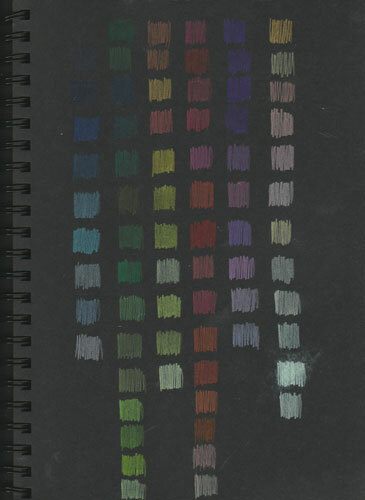 I tried wetting the ends of the colour bars to see how a tint might look - and you can see the results. You can't see anything! Basically black paper is not suitable for washes or tints - they simply won't show up! Now for the sketches to see how the colours work together on the paper. I would say that working on black paper means adapting to a new way of working where the darks are supplied largely by the paper. First the sketch with coloured pencils. As you can see the whites look grey - and I tried several! hence why I ended up using the whitest white I know which is the White Pastel Pencil. I wouldn't exhibit this as overall the colours are just too muted - as found with the colour chart. However note how effective working back into the sketch with an eraser is for picking out the lowlights. Overall a book I've been interested to try and one which I will doubtless continue to try in terms of finding what works well with it. The black paper is very nice - if you accept its limitations. Expect to see more experiments in the future! I've finally got round to publishing a resource site I started ages ago. 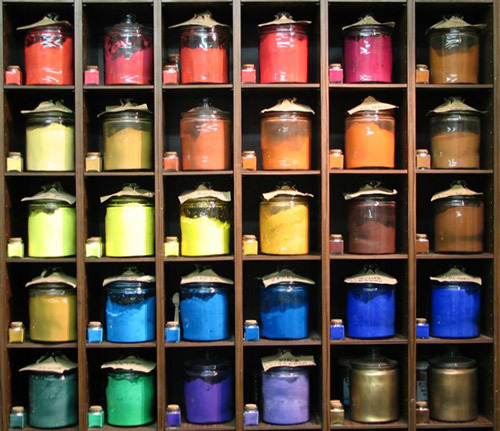 Art Supplies Around The World - Resources for Artists is a listing for art shops and stores located in Europe, Asia and Australasia. It is however far from complete in terms of all the good art shops which are out there. I've started with the ones I know and have heard about. I'm very keen to add in more that readers of this blog might recommend - so that this information can be shared around between those of us who travel.